Trump recommended a book on Twitter today. It has no words. Trump Recommended a Book on Twitter Today. It Basically Has No Words. U.S. President Donald Trump speaks during an event celebrating Women’s History Month, in the East Room at the White House March 29, 2017 in Washington, DC. On Monday morning, our president, who does not read, tweeted out praise for a book. Reasons to Vote for Democrats is one of the top political bestsellers on Amazon. The following is an excerpt. The book, ostensibly a list of reasons to vote for Democrats, contains 260 pages of blank space. Get it? “Lefty lawyers require that we state the book is mostly blank and contains precisely 1,235 words,” the Amazon description reads. In March, Trump told Tucker Carlson that he’s been too busy since taking office to read as much as he once had. 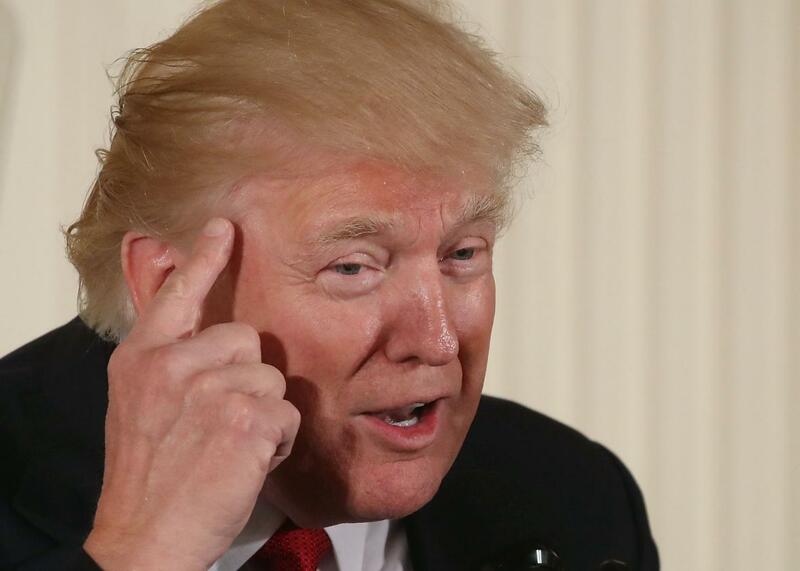 (In 2011, Trump reportedly listed 20 books he had read on China off the top of his head to the state media agency Xinhua.) “I love to read,” he said. “Every time I do about a half a page, I get a phone call that there’s some emergency, this or that.” Trump did tweet more frequently about books last year—Ann Coulter’s In Trump We Trust, Phyllis Schlafly’s The Conservative Case for Trump, Michael Flynn’s The Field of Fight, and Eric Bolling’s Wake Up America all earned plaudits. Since the inauguration, Trump has only tweeted praise of one other book—Nick Adams’ Green Card Warrior. In August 2015, Trump said during a speech that his favorite book was the Bible. His second favorite, he said, was The Art of the Deal.